said at a ceremony in the city on November 3 to mark the 100th anniversary of the Russian October Revolution (November 7). in a new ideology of the humankind. fine relations between Vietnam and Russia. Region, said that success of the Russian October Revolution led by Vladimir I.
Lenin opened up a new era in the humankind, an era of freedom. position of revolution, he said. 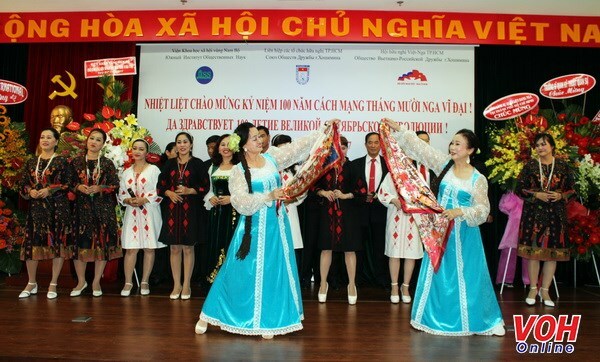 traditional friendship and cooperation between Russia and Vietnam.